When I say this is the ultimate in A&A sites...I mean it. If you haven't already checked it out, what are you still reading this for?!? Spotter's Guide links for Map downloads have been fixed. Hopefully I got them all. Fileplanet links should still work. 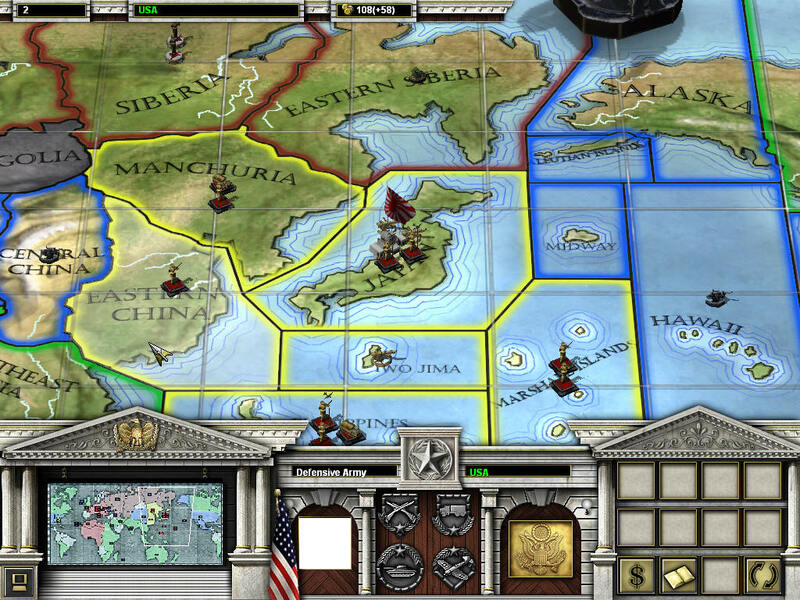 GameRanger has added support for both Axis & Allies RTS and its demo. This gives more options (just in case GameSpy servers go down again) as well as helping with possible router/firewall headaches. Randy O has created two versions of the Battle of Wake Island. "Wake Island" is USA holding the island and "Wake Island 2" is Japan taking the Island. Axis & Allies: RTS, R.I.P.? "The game has been officially discontinued with our server database. This means the game will no longer have servers appearing in the server menu. The game has been permanently shut down in terms of servers being displayed by GameSpy. The game makers declined to continue service in December. They were given a few months and then the service turned off from our end since the bill was no longer being paid." "As stated before, we do not handle the relationship with GameSpy and its Axis and Allies servers. But we are currently attempting to resolve this issue. As soon as we know more information, I will let you know right away." Meanwhile, Zeus over at the GameSpy Forums is looking into creating his own public server. Head over there for updates and to give support. KMA Clan Hosts 2v2 Tourney! Well it's official, an Axis and Allies 2v2 Tournament! Hard to believe it's been two and a half years since we had the "Good, Bad, and the Ugly" 1v1 Tournament, and it was so fun we just had to do it again... This time a single-elimination tournament to finish in one day, March 29th 2008 at 6pm EDT. See site for News, Rules, and Prizes! See link for more. Includes 3 pics. Description: Provide the Voice Over recordings for the French faction. All sound bytes will be in English with a French accent. There will be a minimum of 42 Voice Over callouts. All dialog will be provided for you in the form of a script. Description: Provide the Voice Over recordings for the Italy faction. All sound bytes will be in English with an Italian accent. There will be a minimum of 42 Voice Over callouts. All dialog will be provided for you in the form of a script. If interested, please send an email to valdarez@triplethreatclan.com. The Triple Threat Clan is proud to announce the development of a brand new mod for Axis & Allies RTS game. The mod is designed for multiplayer online play and adds many new features to the game as well as addressing balance issues that exist in the current version. Italy and France are both countries with low morale who rely on teching to allow their armies to compete with other countries. More information about the mod will be available as the work is completed. Click here to view the latest release notes, or click here to visit the TripleThreatClan's Axis & Allies RTS forums and ask questions or participate in discussions surrounding the mod and it's features. TimeGate has updated their site to their new re-vamped look. "I have created a mod which adds new units as well as models to the game. Units like the German Stg III, and Flak 18 88mm gun, British Churchills Mk I, and Mk III, as well as the A43 Black Prince. Many additional things to see." Posted download link. I cannot confirm the download as the site used was very slow to me (over one hour for 16MB). Maybe you will have better luck. First-Company has created another map, this time focusing on the D-Day assault. Storm or defend the beaches in USA (D-Day) Germany.